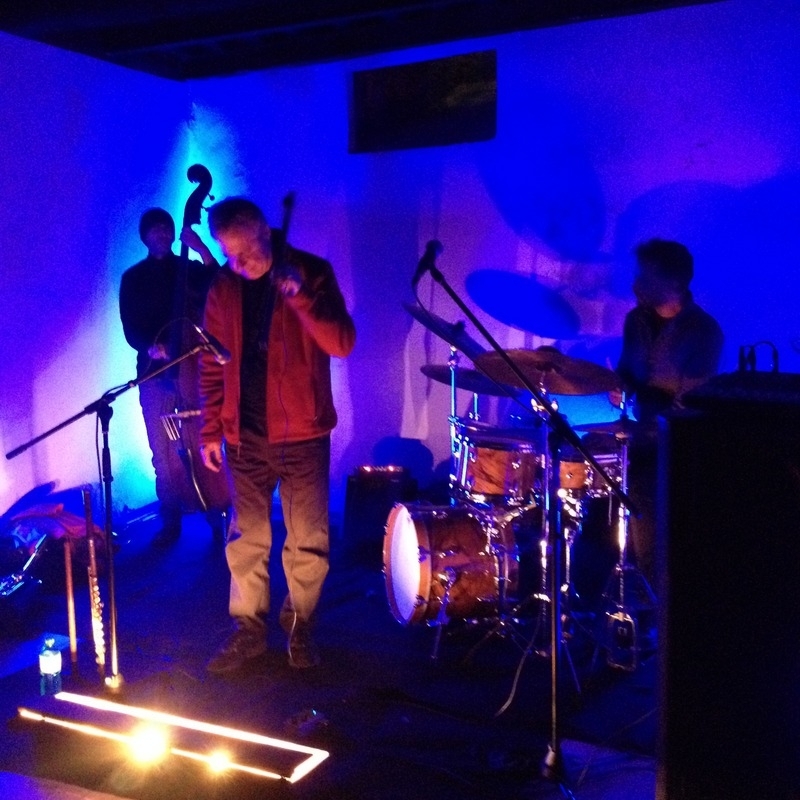 We Sample Olive Oil and Jazz | Sprezzatura, Y'all! You never know where a day in Italy will take you. 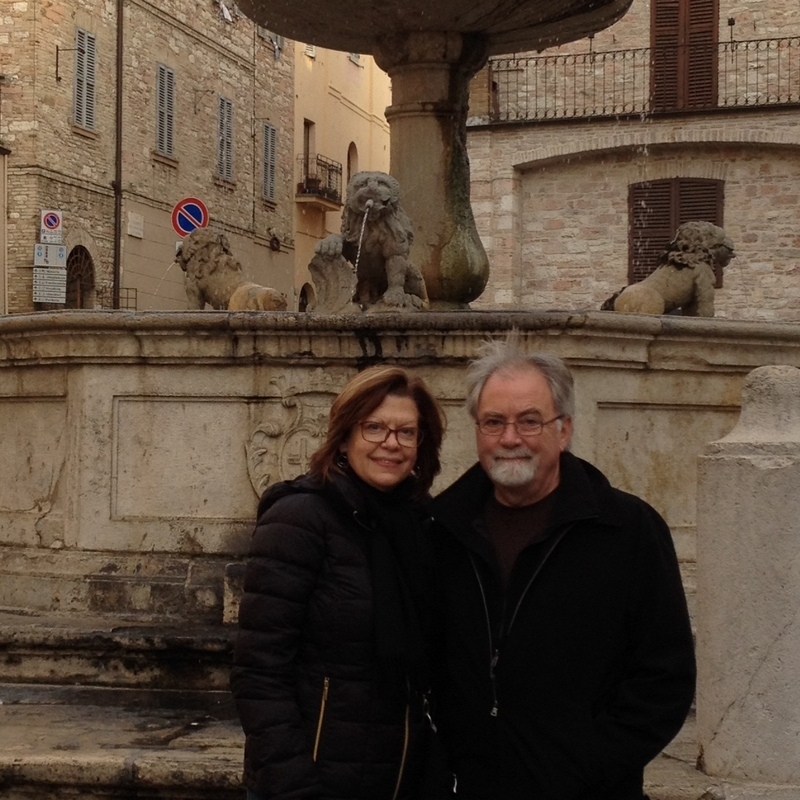 On Tim and Julie’s first relatively coherent day in Italy, we drove to Umbria and visited Trevi and Assisi. Trevi is the olive oil capital of Italy (so they say – I’m sure many other towns would dispute that) and there are olive trees everywhere. It’s like the city sprouted up out of an olive grove. It’s a cute little place and we had a fine lunch there (big surprise!). We also visited an olive oil manufacturer, which was quite interesting. The olives come in and are made into oil within minutes. This is fresh stuff. After all that wonderfulness, we drove over to Assisi. We strolled through town and toured the basilica. 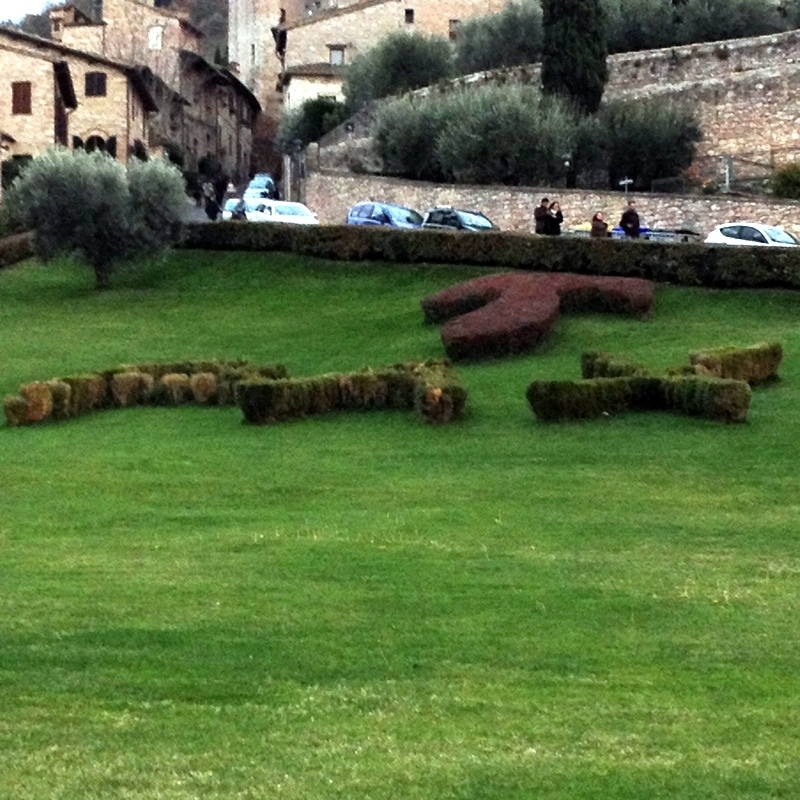 Assisi is a beautiful town – it’s just overrun with tourists. Despite our best efforts to get home before dark, we didn’t succeed. It gets dark here at about 5:00. It makes for a really long evening and the dark always sneaks up on you. But our day wasn’t over yet. 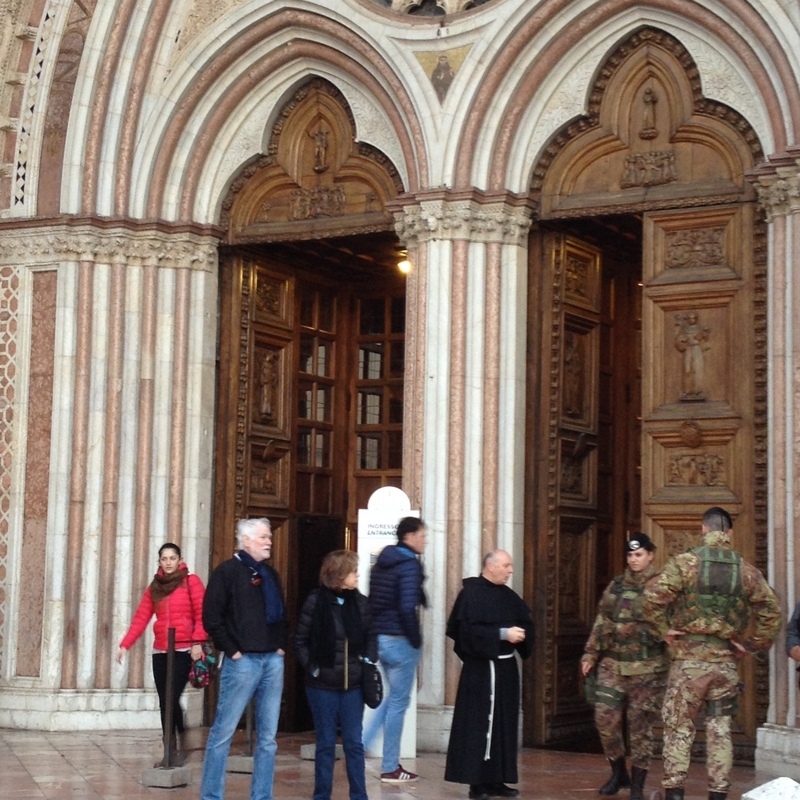 There’s always a military presence in Assisi, especially around the basilica. In light of the recent terrorist attacks in France, it was a little amped up this time. Priests and nuns mingling with armed military personnel. Not quite the sacred and profane, but it makes you think. Then on the large lawn in front of the basilica is a planting spelling out Peace in Latin. If only. Back in Anghiari, we regrouped and took a little stroll around and ended up in the pizza place. Well, we weren’t really hungry, but it was there and they hadn’t had pizza yet and – oh well, we just couldn’t skip a meal, could we? 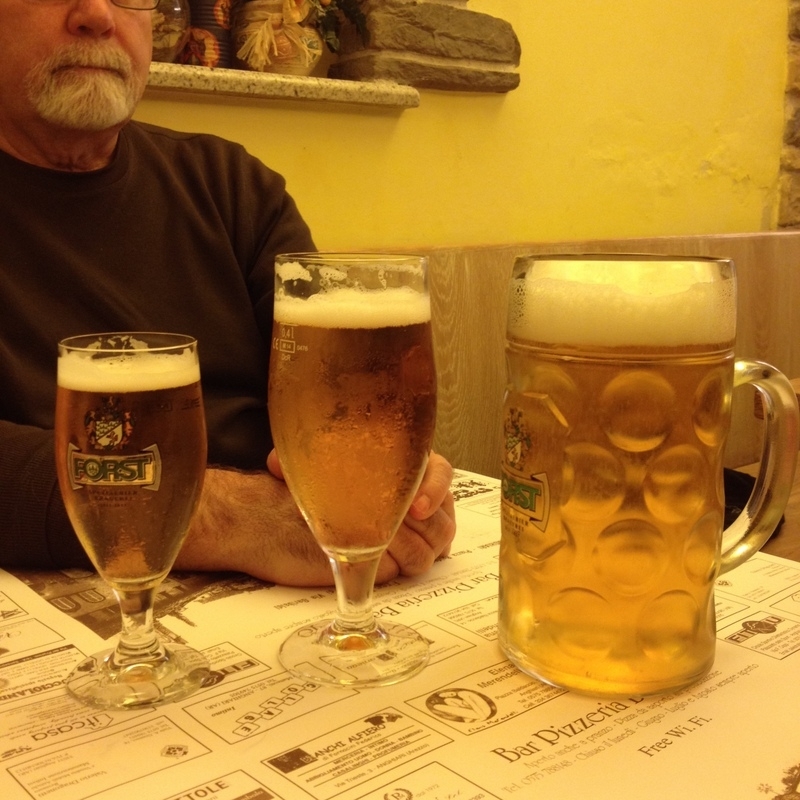 We had mighty fine pizza and the three bears of beers. At 10:00, there was a jazz concert hosted by one of the bars in town. We stopped by and heard a little Bee Brain. They play Ethiopian jazz (who knew?) and the flutist was from Boston. We chatted with them a little bit and stayed for their first set. Very interesting. It was a cool experience in a cool place with cool people.